There's a Hillary Clinton action figure ready to go, even though the real Hillary has yet to officially announce her run for president. The "Ready-For-Action Figure" sports a blue pantsuit and beige heels. The Kickstarter campaign set up by its Brooklyn-based designers has already reached its $15,000 fundraising goal. And they've promised to make a version in a pink pantsuit as well if they hit $60,000. The superhero version of Clinton "can solve any international crisis with a single joke, (is) strong enough to wrestle Russian bears, yet cool enough to diffuse any Korean missile," quips the promotional video. "Smart, bold, and stylish -- the world has never seen a woman quite like this." A Kickstarter campaign raised enough money to start production of this Hillary action figure. The firm's crowdfunding campaign still has 14 day left, but the money raised so far is enough to get manufacturing started, according to FCTRY, which is taking donations as small as $1. For every donor, they'll send a postcard to Clinton encouraging her to run for president. 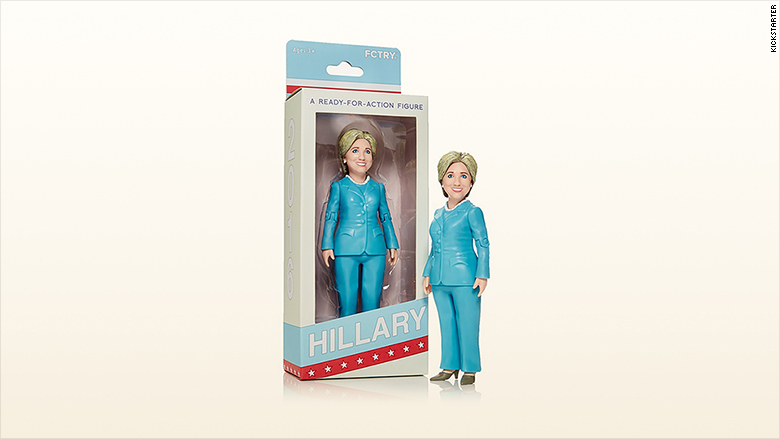 Anyone who gives $15 gets an action figure and for $40, donors will also get a "Run Hillary. Run" t-shirt. The makers of the action figure, who clearly hope that Clinton will become the first woman president, stress that she's not a "doll" like Barbie, which can send the wrong message to girls. Hillary Clinton is a "positive female role model," they write. If the campaign reaches $100,000, FCTRY vows to turn Bill Clinton into an action figure, too. 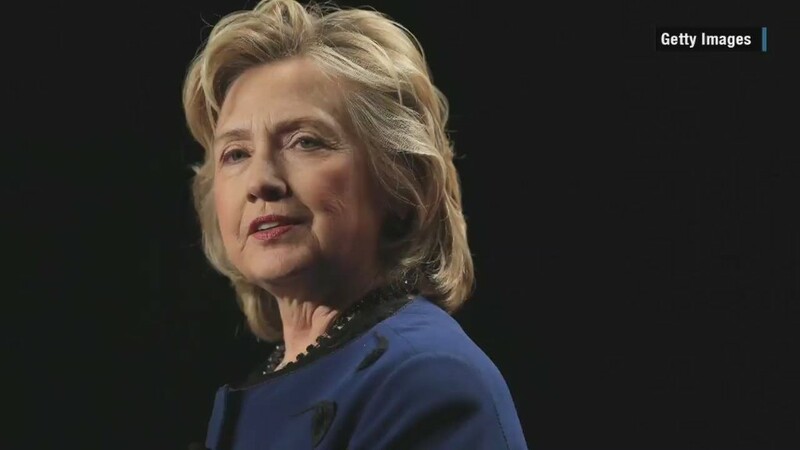 Estimated delivery of the Hillary Ready-For-Action Figure for early backers is May 2015.